Valley Forge Military College’s Center for the Advancement of Security Studies (CASS) hosted a panel of experts to discuss the current and future terrorist and cybersecurity threats to America. In an apolitical framework, the panel deciphered the rhetoric surrounding these “hot-button” issues, and provided their assessment of America’s national security. CSFI was well represented by USAF COL (ret) Steve Korns who’s a Senior CSFI Fellow and Cyber Lead at Redhorse Corporation. Special thanks to Dr. Earl J. Catagnus Jr, Assistant Professor of History and Security Studies at Valley Forge Military College and the absolutely superb academic team from VFMC! Jack Tomarchio – Mr. Tomarchio is a former Principal Deputy Under Secretary for Intelligence and Analysis Operations at Department of Homeland Security, and is a member of the Homeland Security Advisory Council at the Pennsylvania State University and on the Board of Advisors of the Drexel University Cyber Security Institute. George Schwartz, Ed.D. – Dr. Schwartz is currently the Chair of Professional Studies at Immaculata University where he manages the Bachelor’s Degree in Emergency Planning & Management, and launching a Bachelor’s degree in Cybersecurity. Additionally, he is a Brigadier General in the U.S. Army National Guard, and in that capacity he serves as the Deputy Commandant, Reserve Affairs at the U.S. Army War College, and Assistant Adjutant General for the Pennsylvania National Guard. Kevin Hyde – Mr. Hyde is currently the Managing Director of Layer 8 Security, LLC, a technology and consulting firm dealing specifically with the multifarious aspects of cybersecurity facing business, industry, and government. He is also a USMCR Major, intelligence officer, who served for three years as a Strategic Cyber Planner at U.S. Cyber Command. 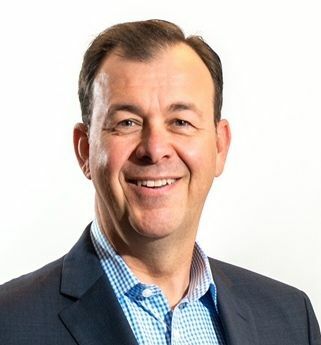 Steve Korns – Mr. Korns currently serves as Vice President and Cyber Lead at Redhorse Corporation, a San Diego based technology and IT services company. He is a retired U.S Air Force Colonel who contributed directly to National and DoD cyber initiatives, including as a member of the Presidential Commission for the Comprehensive National Cybersecurity Initiative, Director of Cyber Operations Assessments at U.S. CYBER COMMAND, Chief of Staff at the U.S. National Cyber Security Center, and Director of the DoD Global Network Operations and Security Center. VFMC Center for the Advancement of Security Studies (CASS) is a virtual coordinating center that houses faculty expertise to develop programs, manage outreach, create internship opportunities, and share information to serve students, academics, military professionals, industry leaders, and policy makers. The Center directly supports students enrolled in the Justice & Security Studies major with resources provided by the faculty who are both practitioners and scholars. Valley Forge Military College – CASS (Center for the Advancement of Security Studies) is a CSFI Educational and Strategic Supporter. 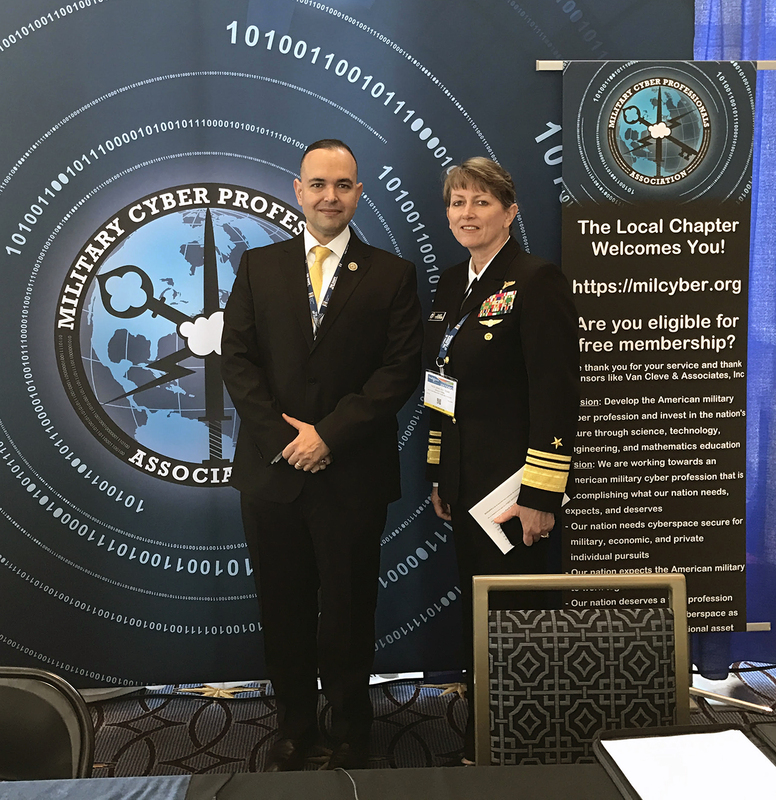 US Army Colonel (Ret) Carmine Cicalese (MCPA Chief of Staff), left, and Dr. Margaret Polski (Military Cyber Affairs Editor in Chief), center, discuss national security and cyber operations with a visitor to the Sea, Air, and Space Expo in National Harbor, MD. Roger W. Kuhn, CISSP Senior Systems Engineer, Technical at US Army CECOM ISEC/ USCGR Officer (Retired), CSFI Advisory Board of Directors is presented with the MCPA’s Order of Thor by Norman R. Hayes, Rear Admiral (ret. ), US Navy Former Director of the Intelligence Headquarters, EUCOM (J-2) CSFI Advisory Board of Directors, MCPA Board of Advisors. Dr. Margaret Polski being presented with the Order of Thor Medal. Leading the way, Admiral Jan Tighe is the first visitor of the MCPA booth at SAS 2017! Photo: Admiral Tighe (right) with MCPA Founder, Joe Billingsley. This year’s FOCUS seminar was about investigating emerging game-changing methods for management of IT security and information security related risks with international views across the IT threat landscape. Due to the international participation, the event was held in English, where the recorded number of attendants was the highest its ever been. During the annual meeting that followed the event, Janne Haldesten, a CSFI Fellow, was elected chairman of the board for SIG Security. SIG Security is the biggest information security community in Sweden for professionals active in information security. The community has around 600 members. * Supporting and strategically developing the professional network of its members by exchanging experiences within and also outside of the SIG Security community. * Supporting sound and balanced advancement of information security within private and public sectors as well as the society as a whole. Årets FOCUS-seminarie handlade om att se närmare på kommande trender och utveckling av bl.a. IT-säkerhet och informationssäkerhetsrelaterade risker liksom den internationella synen på IT-hotlandskapet. Eventet hölls helt på engelska utifrån det internationella deltagandet där antalet anmälda deltagare i år var det högsta någonsin. Under föreningens årsstämma som följde efter eventet valdes Janne Haldesten, tillika CSFI Fellow, till ordförande i SIG Securitys styrelse. SIG Security är Sveriges största sammanslutning av personer som arbetar professionellt inom området IT- och informationssäkerhet. Föreningen har runt 600 medlemmar. A lot of people were interested in Mr. de Souza’s presentation – Cyber Capabilities at the Tactical Edge. CSFI Advisory Director, USAF Brigadier General (ret) Former White House Chief Information Security Officer, Former Deputy Assistant Secretary for Cybersecurity and Communications in the U.S. Department of Homeland Security and as Director of the National Cybersecurity and Communications Integration Center. Greg Touhill is one of the nation’s premier cybersecurity and information technology senior executives. A highly experienced leader of large, complex, diverse, and global operations, in 2016 Greg was selected by President Obama as the U.S. government’s first Chief Information Security Officer. His other civilian government service includes duties as Deputy Assistant Secretary for Cybersecurity and Communications in the U.S. Department of Homeland Security and as Director of the National Cybersecurity and Communications Integration Center where he led national programs to protect the United States and its critical infrastructure. Greg is a retired Air Force general officer, a highly-decorated combat leader, an accomplished author and public speaker, a former American diplomat, and a senior executive with documented high levels of success on the battlefield and in the boardroom.